How much do you know about the iPad? Ahead of the big iPad announcement for the next generation of the device we've put together a quiz to test just how much you know about the history of Apple's tablet. We're expecting that the iPad Air 2 is announced on October 16, probably alongside the new iPad mini 3, but it's just the latest in a now long line of iPads. There will be more than few of you saying 'I've had every iPad since the year dot there's nothing that I don't know about Apple's iPads'. But do you remember what year dot was? 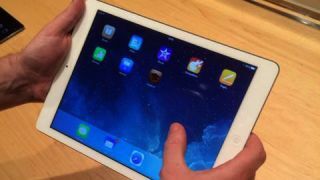 So - if you fancy yourself as an iPad expert, here's your chance to prove it. Don't forget to let us know how you scored in the comments below.